Big Ben- Two Super Bowls. Bill Russell- 11 NBA Championships (the last two as a player-coach). Also, holy sh*t! Emmitt Smith- Three Super Bowls. Tom Brady- Three Super Bowls. 19 championships combined. There are no losers here. C’mon LeBron & LT, prove you belong in the company of these men. 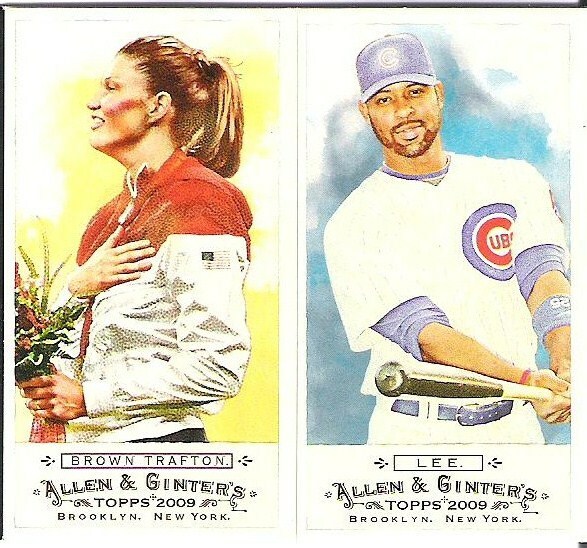 Hit Parade of Champions is another set I’m collecting, although I’ve never bothered to look up how many cards are even in the set (okay, 30 according the Baseball Cards Wiki… also, it’s probably too late Mattingly, Griffey Jr., & Yaz to become champions unless it’s in a coaching role). I have seven, counting these, including two of the biggies, Kobe and the previously mentioned LeChump. Someday I’d like to get a few cards from the original set it’s based on. Narrowly missed on some hockey player from it once. Finishing the modern remake is more pressing the moment though. A card from an obscure set from 1954 isn’t likely to come through a trade. I guess I did get a ’53 Bowman in a trade once, not to mention a freakin’ Walter Payton rookie through trading, so I guess I should never say never. Bustin’ sh*t up in the name of freedom! Tagged 11 Championships!, 2008 Upper Deck Goudey, Ben Roethlisberger, Berk-Ross, Big Ben, Bill Russell, COMC, Emmitt Smith, Hit Parade of Champions, HSQ, minis, The World's Most Perfect Person, Tom Brady, Your beard is weird! There it is, probably a good 12 hours of work over the course of the last 4-5 days. The coloring was done in colored pencils, which I haven’t used in any meaningful way in years. No inks here at all. Anyway, hope y’all like it. Now we segue out of vintage with a little last hurrah and into something a little… smaller, with this here quickie post. 1969 topps Deckle Edge Jim Fregosi, Maury Wills, and Jerry Koosman proving vintage never goes out of style. Ah, wonderful affordable vintage. I am slowly putting together this set. I believe this brings me to five now, with Kessinger and Santo. It’s a good one to collect if you aren’t concerned about condition. Even the best players won’t set you back that much, and there are lots of big names of the day and Hall of Famers to be had. 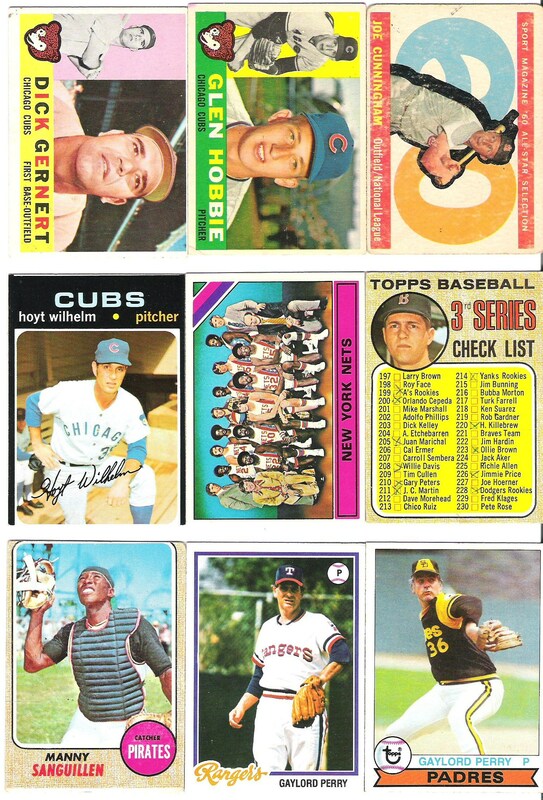 The set is only 33 cards (plus a couple different player-same card number variations, proving topps has been pulling that s*** since at least the late-1960s! ), so there isn’t a lot to track down. Not quite minis in an official sense, but the slightly smaller than average size makes for a handy transition to the minis portion of our program, which we will start to cover in the next Check Out My Cards post. PS: Still no winner in the contest yet. Go down a few posts and keep guessing! Tagged 1969 topps Deckle Edge, affordable vintage, Jerry Koosman, Jim Fregosi, Maury Wills, minis, segue, vintage, Vintage affordable! 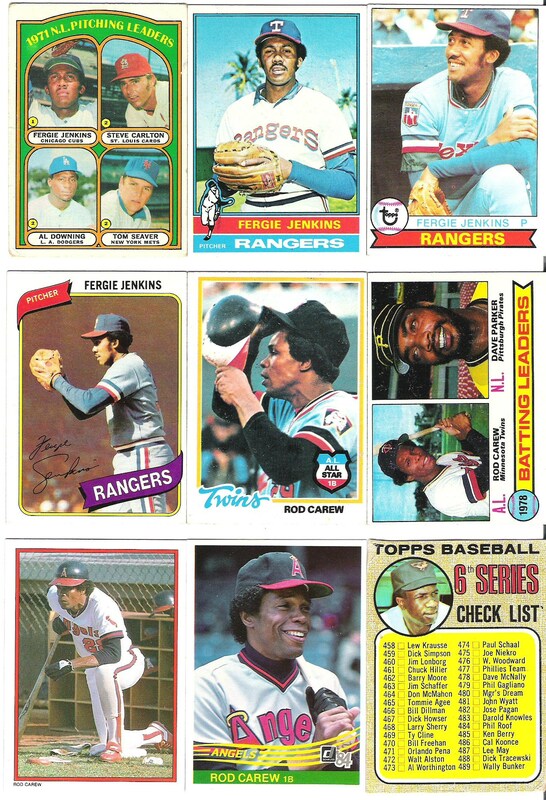 These are all Hall of Famers (except the card-sharing Downing and the Cobra, who is fairly close to Hall-worthy), and they are all keepers this time. On that disheartening note, the next post will be short, in more ways than one, as we somewhat seamlessly segue out of vintage and into the next section. Oh, and Merry Christmas and Happy Universal Non-Denominational Holiday Celebration to all! Remember that Walter Payton Rookie? Well, there was more to that trade than just Sweetness. There was some shiny too! 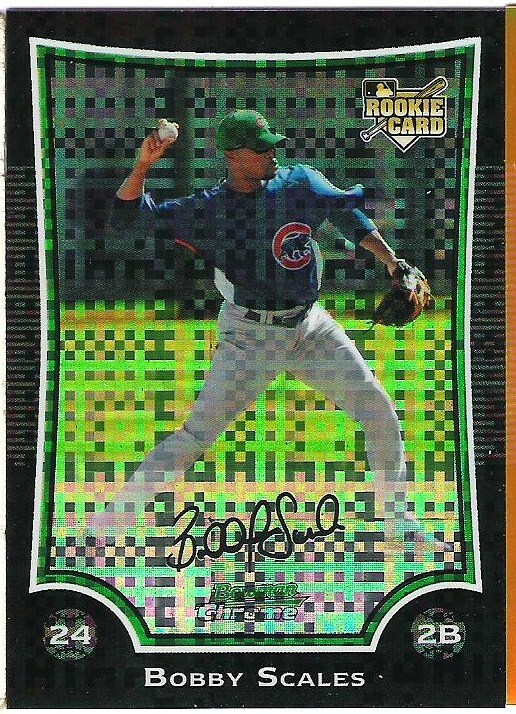 First up, in #'ed /250 X-Fractor form, the late bloomer himself, Bobby Scales. 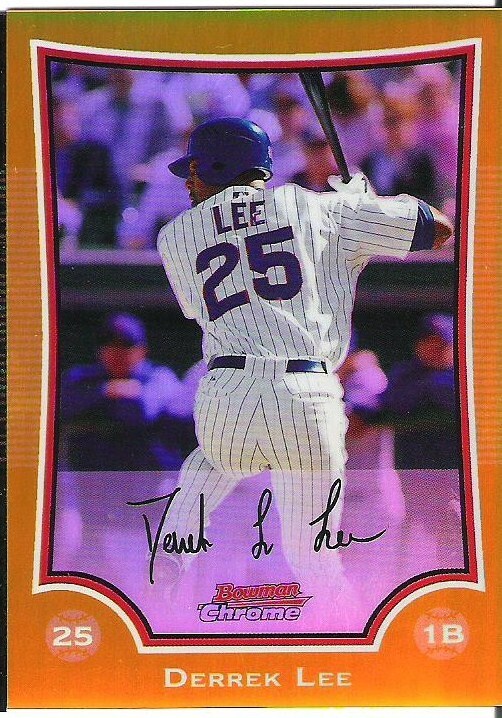 And coming to us in Gold Refractor form and #’ed out of /50, Derrek Lee! It’s the back of a playing card. Impromptu prize time. 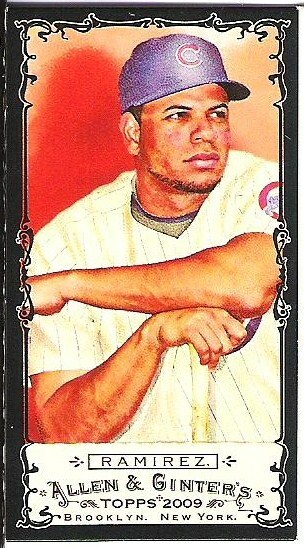 A random jersey card to the first person to correctly guess the card. And that be that. 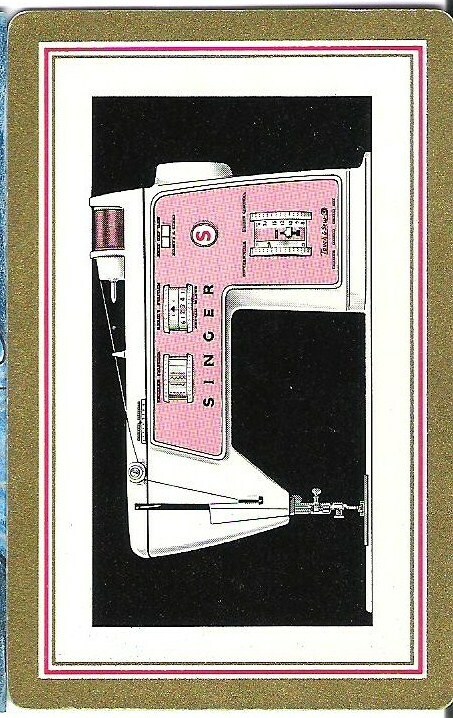 Thanks to the Sewingmachineguy for the great trade! Very nice work all-around. I can’t quite find the words to adequately to explain what it is about the cards that makes me like them so much, but who really wants to read a critique anyway? Suffice to say I think they are great, and welcome additions to my sketch card collection, as well as the individual collections I have for each. 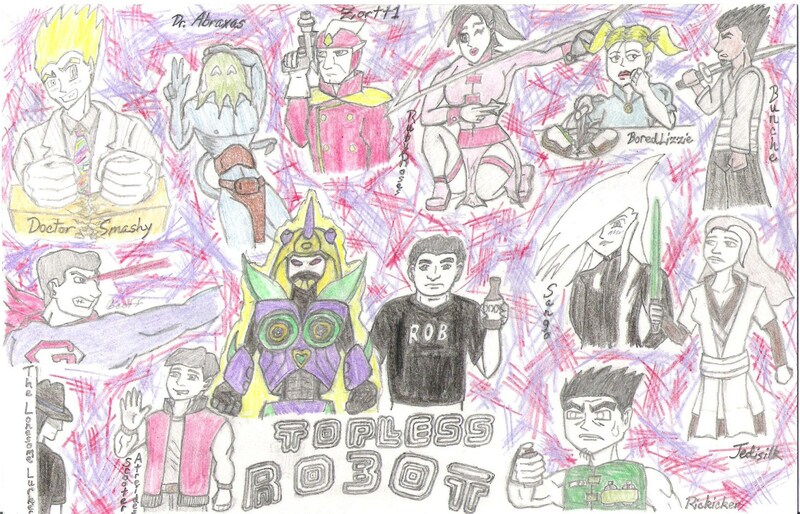 The back of Jeremy's cool custom sketch cards. On top of the sketch cards, we also ended up finding a few regular cards on our respective wantlists to trade. Here are just a few of the cards I received (the ones I was able to get scanned before they got sorted away). 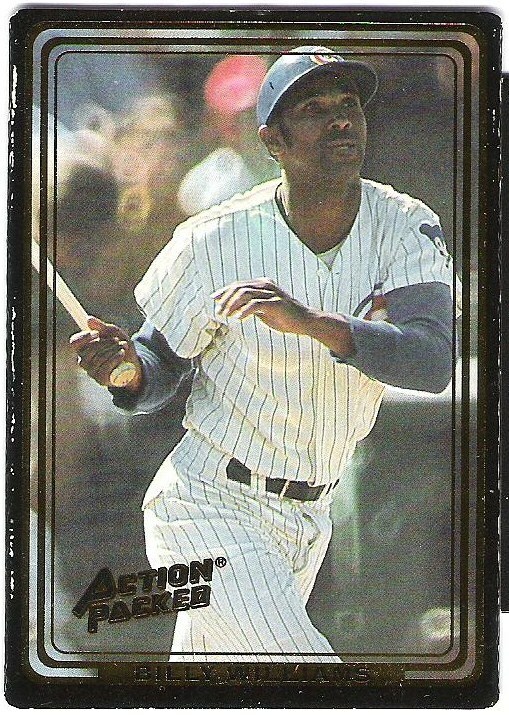 Finally, an Action Packed Billy Williams..